The one thing I never thought of when my husband and I decided to have kids was asking permission to do the most basic parenting things. And with your first child in the NICU you have to ask to do the most basic of parenting tasks. I had to wait until my son was 25 days old before I could even change his diaper. Changing a diaper is a task most other parents bicker and try and pass off to the other or a visiting grandparent and its something I had to wait 25 days to do. That’s about 192 diapers I had to let someone else change. And with the medicine he is on for this virus he has I may have to wait up to six weeks to change a diaper unless they show me a new way to do it. I never got to talk about the possibility of him having a diaper rash, I was told one day when I came to see him he had diaper rash because my son is an awesome peer. This is something a mother should experience with her child and not be told by a nurse. And its heartbreaking to me because I have seen my friends and people I have known for years take for granted a simple privilege like taking care of your child’s basic needs. I am in no way saying that everyone is like that, this is just me saying a few people I have seen and this is over my 26 years in this world too. I have to ask permission to hold my son, I have to have a nurse and respiratory therapist come and help me take my son out of his bed and show me how to hold him because of all his tubes wires and cords. And I have been told no I am not allowed to hold him because of the type of ventilation he is on, because he is so stressed and moving him like this could stress him out too much and hes better left alone or because there are not enough people around to help in case of emergency. And I have seen the emergency first hand, he was 4 days old and it was the second time I ever got to hold him. We were just sitting and relaxing and I was quietly humming him a song and then the alarms started, his oxygen in his blood had dipped below 81% which is bad, since his happy numbers are between 88% and 95%, and it was still dropping. And because his oxygen was So low his heart rate dropped below What was acceptable. His heart rate should be between 100 BPM and 200 BPM and his had dropped to 80 BPM. It was still dropping fast and the Nonmedical Routes of calming him down were not working. They did not have time to Move him of my chest to Basically revive him on me, l had one nurse holding my head in her hands making me look at her while I cried. I was not to look at what they were doing but I could feel the movement of whatever they were doing. After what felt like hours’ but was only 8 minutes they moved David from me and put David into his bed to take him from his CPap machine and put a breathing tube down his throat. After that it takes a lot of energy and talking myself into holding my Son. I am scared to hold him because flash Back to that day and scared i may have to go through that again. l have held him since then. But it takes a lot me talking myself into it and telling Myself that won’t happen again. And After all that preparation Mentally and emotionally, to be told NO You can’t told your son just crushes me and Brings me back to what if they had said yes and it happened again. As a parent all you want to do is hold Your child give the ma kiss and make it all go away. the pain, the poking and Prodding, That’s our job as mom and dad is to kiss the booboos away. what do we do here, When your child looks up at YOU as if to Say help me, Mommy it hurts-Mommy 1 can’t breathe. How do you handle that? You can 7 Just pick them up and make it better . But you can hold their hands and smile and talk Soft to them let them Know even though this is scary you are there and you are on their side no matter what. even if can’t change a diaper or hold him as much as I want, Which is always and never Put him down, l am still the one who knows he hates facing the window because he is scared he’s gonna miss something in the Pod. I know that he loves tummy time because its the best time to try and pull out his breathing tube because it’s uncomfortable. I Know that he is calmer when people are talking to me during procedures Because he knows they are there because I Know they are helping him. I know he loves books and having his dad read to him every weekend for 2 hours. And he loves to Rock out music When he is stressed and angry. l may not get to do the basic stuff but I know my son. And When I am feeling sad about the basic stuff I tell Myself about his little quirks. And that the basic stuff will come, I mean right now he should still be in my tummy SO I wouldn’t get to do this anyways. It’s a long road being a preemie Mom or dad But the ride is What makes it sweeter in the end. The story is like this post, sad and full of self pity and it ends with self acceptance and a small smile. Oh, wow. Such a difficult experience, but thank you for sharing so vividly and letting us understand your world. I know a lot of moms and dads can relate. Beautifully put, I can feel your emotions.. you are so strong for keeping it together the best you can. All my love and prayers to your little one. Keep listening and rocking out baby! Oh mama this is SO tough. 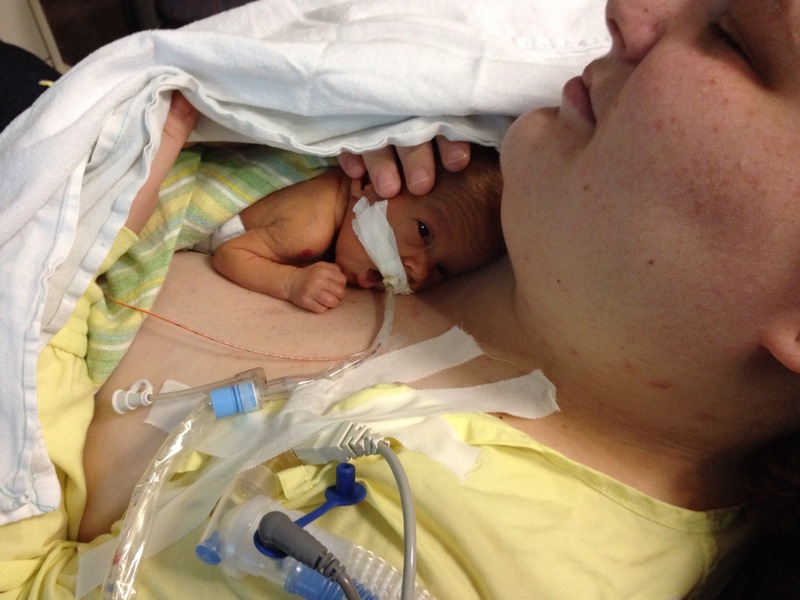 My youngest was in NICU, and it was so hard being told no. Thank you for sharing your story! I loved reading the post. I had tears while reading this. some one in my family is at the same stage. I wrote this 3 years ago, when I first started this journey. and when I re read it to re post on here, it brought back all theses memories, this is one of the hardest stages to go through, but as long as they have some support and someone to talk to you can keep your head above water.